Have been dealing with these colours so much during the last few days - I had to make an Etsy treasury out of them. I love the items I've found. 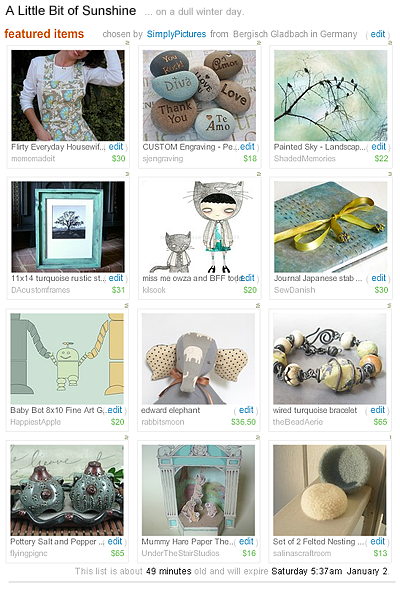 There are so many gorgeous sellers on Etsy! Check out this treasury as long as it is alive. Enjoy! !